As the New Year was fast approaching people began thinking about their lives and the dreams they hoped to achieve. To help motivate people on their journey, YELP got in touch with Aloha Dreamboard Founder and Dream Coach, Tiare Thomas. 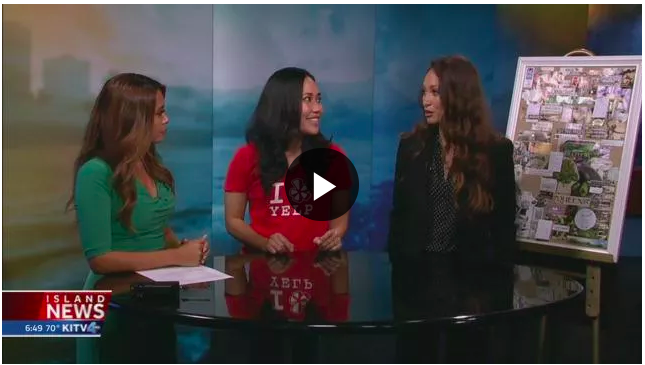 They requested an interview with Tiare to be aired on New Years Eve on KITV 4 Island News. 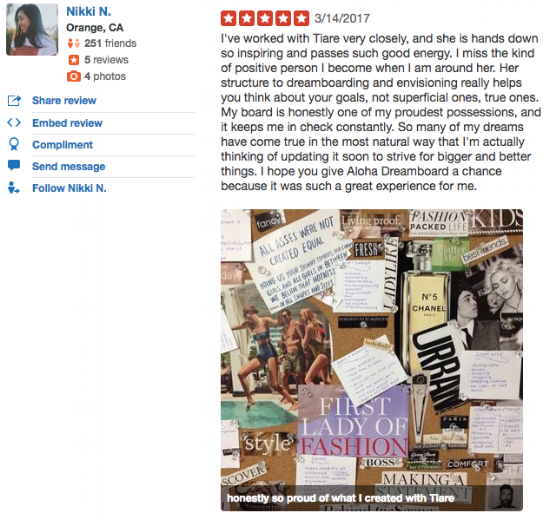 With five stars and 26 raving reviews people on YELP value Aloha Dreamboard for creating the space to help them break down personal barriers, think about their goals (not just superficial ones, but true ones) and providing a tool to map out, manifest and stay accountable to their personal visions. Reviewers expressed that they left feeling rejuvenated and excited after their Dreamboard session and many agree that it is a powerful and revealing process. One reviewer commented that he was not aware of the "detail and the ritual that you go through to manifest your dreams" and it's true!